A round-up of the top celebrity weddings of 2017 - Get all the details of the rings, dresses and locations here. This year has seen some of the most magical weddings. We’ve seen weddings in all shapes and sizes, and dresses that have completely blown us away. So, seeing as though the year is coming to an end, and there’s nothing better than a good countdown to finish up the year, here are the best celebrity weddings of 2017, so those 2018 brides can really get some inspiration. 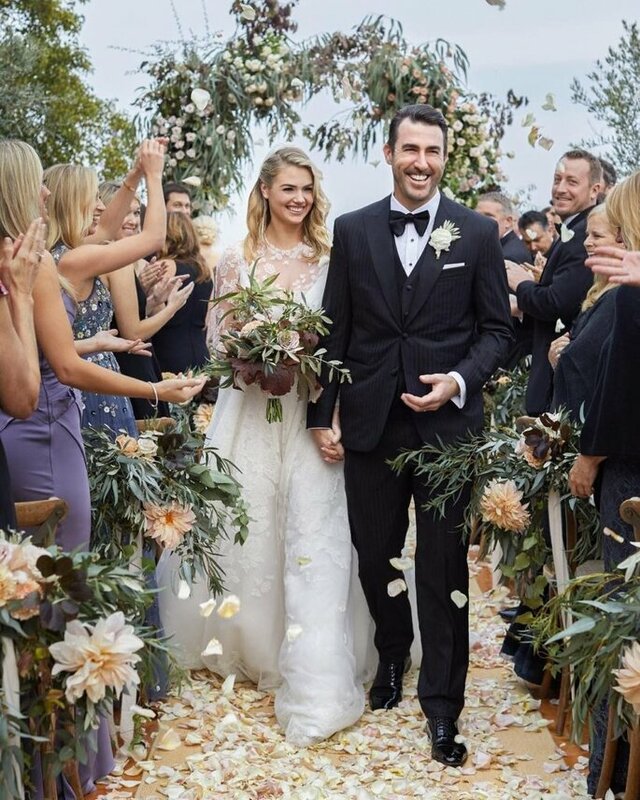 This November, supermodel Kate Upton and the Houston Astros pitcher tied the knot in a ceremony in Italy! After dating on and off for several years, Verlander proposed to Upton before the 2016 baseball season, however didn’t announce the news until the Met Gala in May later that year, when Upton wore her huge engagement ring on full display. The couple wed in an intimate setting at the Rosewood Castiglion Del Bosco resort in the province of Siena, Tuscany. The wedding ceremony came just a few days after Justin’s team won the 2017 World Series, so there was plenty to celebrate all-round for the happy couple. Upton’s dress was the demure long sleeve, lace Valentino dress with a floor-length tulle veil that tumbled behind her while her bridesmaids added a touch of color in blush hue gowns by Needle and Thread. But, whilst Upton and Verlander’s wedding was beautiful, there was another couple who pulled out all of the stops… and we mean ALL of the stops. 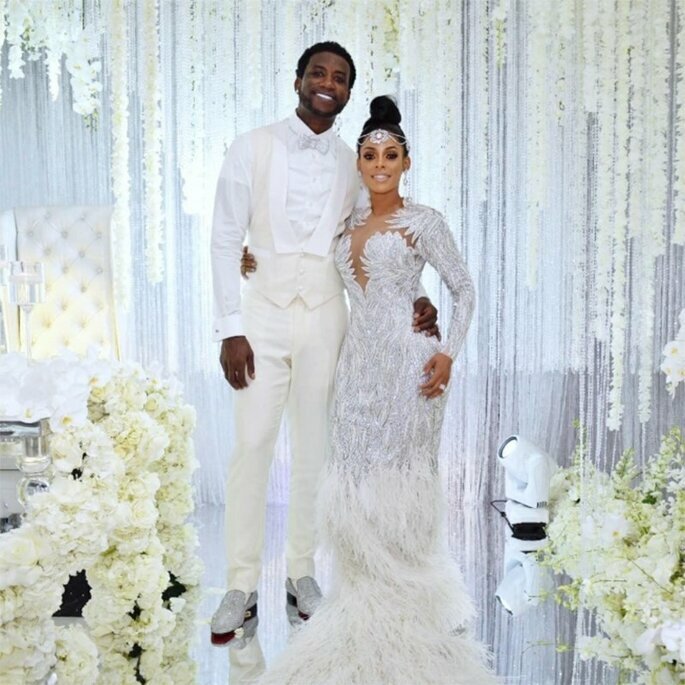 This year saw rapper Radric Davis, otherwise known as Gucci Mane, and his model girlfriend Keyshia Ka’oir, tying the knot in a wedding fit for a princess on October 17. The couple have been dating since 2010 and engaged in November 2016 during a “Kiss Cam” moment at an Atlanta Hawks game. The couple spent a cool $1.7million on the diamond-themed occasion, at the lavish Four Seasons in Miami. Even broadcast live on BET as well as recorded for their reality TV show, Gucci Mane and Keyshia Ka’oir: The Mane Event, the couple enjoyed their no-expense-spared affair. Needing a sword to cut into their $75,000 wedding cake, a feat which required 3 months of planning, 3 days of baking, 8,000 handmade sugar flowers as well as 2,500 Swarovski crystals, the couple were dripping in diamonds. Keyshia stunned in a custom Charbel Zoe Couture gown, with beaded long-sleeves and a sheer skirt with embroidery and feathers. 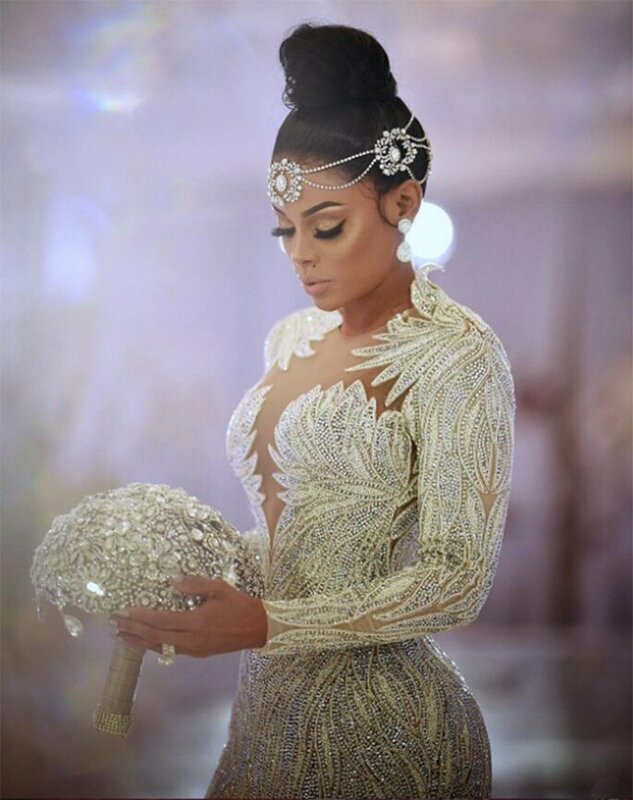 She finished the ensemble with a crystal headpiece and blingy drop earrings and a bouquet of diamonds – clearly, Keyshia spared no expense on her outfit. Medal-winning Olympic Diver Tom Daley married his partner, Dustin Lance Black, after four years of dating on 6th May this year. Marrying at the picturesque Bovey Castle, near Plymouth, Devon, the couple married in the Cathedral Room of the stately home before celebrating at the after party, hosted in the Dartmoor Suite ballroom, where guests danced the night away. 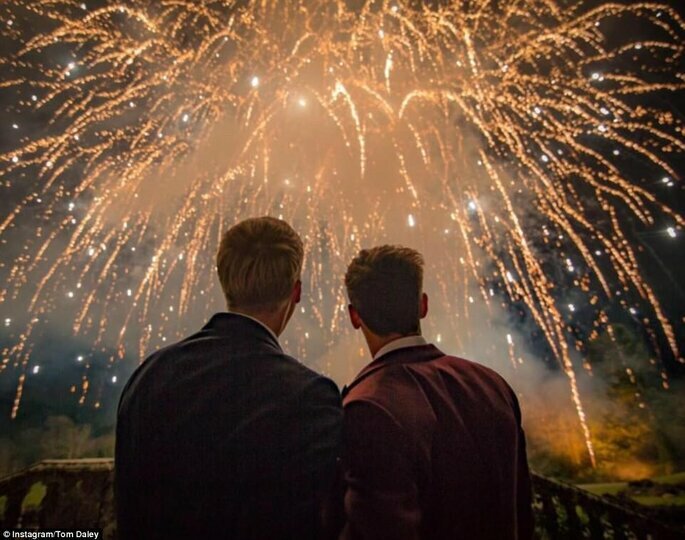 After a night of dancing, food and champagne, the ceremony then ended with a bang as the pair put on an extravagant firework display at 10pm for their guests. A source told the Plymouth Herald: ‘It was a beautiful ceremony; their vows were so brilliant and heartfelt. Tom and Lance organised the wedding themselves and it had their personalities stamped on every detail‘. Sounds perfect to us! Tom looked dashing in a burgundy two-piece suit by Burberry, sharing photos of the ceremony as he walks down the aisle, hand-in-hand with his new husband, also wearing Burberry. The Orange Is The New Black star, Samira Wiley, and the show’s writer tied the knot in a March after getting engaged in Palm Springs, California in October last year. The couple enjoyed a ‘Funfetti cake’ themed wedding. Reportedly, the newlyweds left their wedding ceremony to “This Is How We Do It” by Montell Jordan, and entered their reception to the tune of Justin Bieber’s “Baby” – these girls know how to have a good time! Opting for an off-the-shoulder white gown, Samira tied the knot with her stunning bride, Lauren, who dressed in an amazing caped jumpsuit, both designed by Christian Siriano. It goes without saying, the couple looked seriously glamourous. 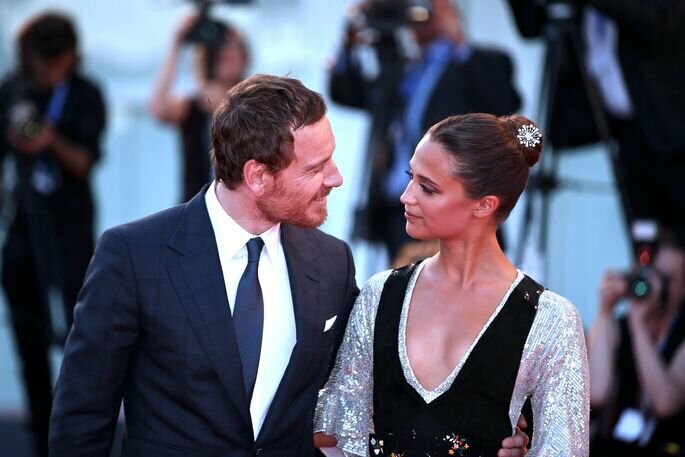 Michael Fassbender and Alicia Vikander married after meeting three years ago on the set of The Light Between Oceans. Michael is best known for Shame and Assassin’s Creed while Alicia is an Academy Award winner for her portrayal Gerda Wegener in The Danish Girl. Many details are still unknown about their wedding as the couple kept the occasion as secretive and private as possible. What we do know is that the showbiz stars married in Ibiza at La Granja farmstead resort, according to People, and celebrated at a boat party until 6am – what a great way to celebrate! As no pictures were allowed to be taken at the bash, we can only imagine how lovely Vikander’s floral Acne dress looked on their big day. These weddings were amazing, albeit in very different ways, and we loved them. But see which other celebrities have tied knot in spectacular style in the next article… You don’t want to miss out!